If your home is built on unstable soil, your basement wall is in danger. Oversaturated soil can exert pressure against your home's walls causing them to bow or lean. This can not only damage your home's structural integrity, but it can also damage your property value. Unfortunately, if you have noticed bowing walls in your home, the problem has probably been happening for a while. Most bowing or leaning walls are caused by hydrostatic pressure. This occurs when the soil becomes oversaturated and the water pushes against the basement foundation walls. The pressure will be greater than the walls can contain and they will begin to fail. Is A Bowed Wall A Serious Problem? A bowed or buckling basement wall is a sign of a serious foundation problem, but it doesn't necessarily mean that you have to replace the wall. There are a few solutions that may actually be better than complete replacement. Southeastern Home Solutions offers a unique solution for your bowed or leaning walls. The Force Bracket Foundation Repair System by Nash is a structural wall repair system that aligns block or concrete walls over time. 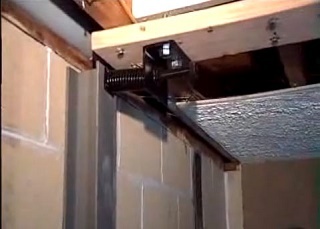 Once the soil around a foundation wall dries out, the tension loaded spring works to apply pressure against the steel I-beam, allowing the corrective movement. 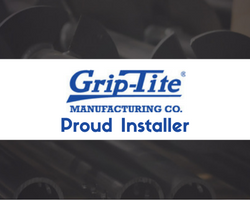 Click here to learn more about this cost-effective and maintenance-free system. If you are in need of bowed wall repair in Alabama, Georgia, or Tennessee, we can send one of our professional inspectors to come look at your property and figure out the best solution for your home's foundation problem. We want your home to be secure and comfortable and will work with you to achieve that. Contact Southeastern Home Solutions today if you have a bowed or leaning wall in your basement.